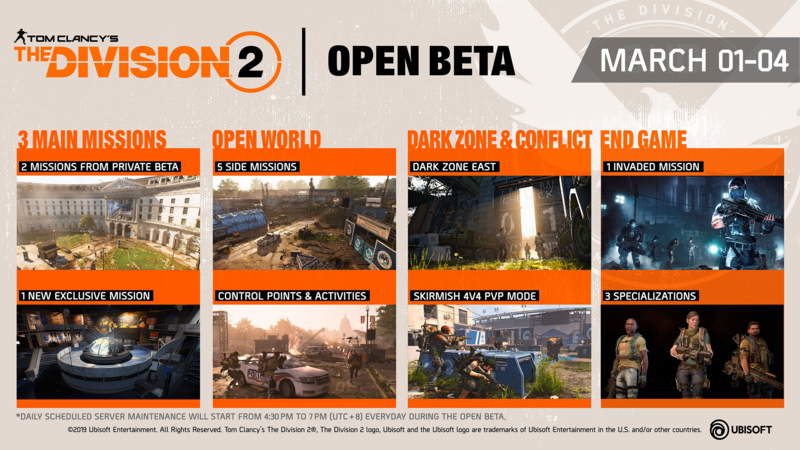 Ubisoft has opened the doors for those who are still not yet on the fence for The Division 2 with the Open Beta period starting today and will end on March 5, 2019 for the Xbox One, PlayStation 4, and PC platforms. 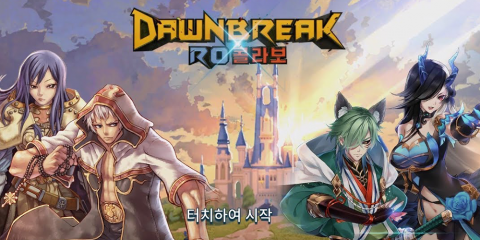 Along with the open beta period opening, the announcement for the year 1 content is already announced in a video (found below). The free content kicks off with the addition of Tidal Basin, a challenging faction stronghold where the Black Tusks have dug in, and it will be up to you and up to three other players to dig them out. Then, your team size will expand when you take on the franchise’s first eight-player raid: Operation Dark Hours. And starting this summer, free major content updates called Episodes will give you and your fellow Agents new ways to test your skills and flex your loadouts. Read on to learn more about Episodes, and to see details on the Year 1 Pass. 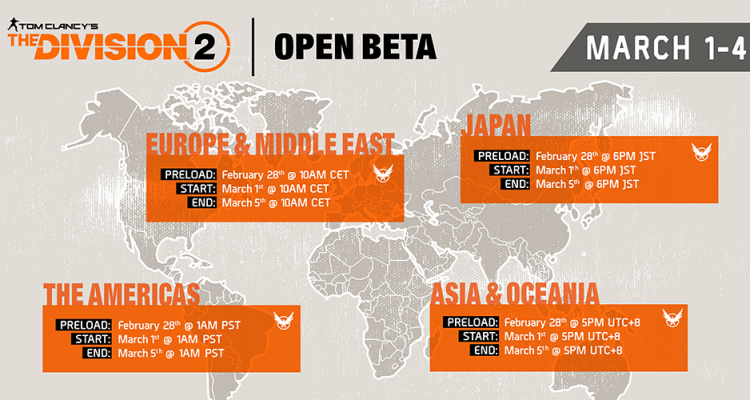 The Division 2 Open Beta ends March 5 at 5PM (UTC+8). 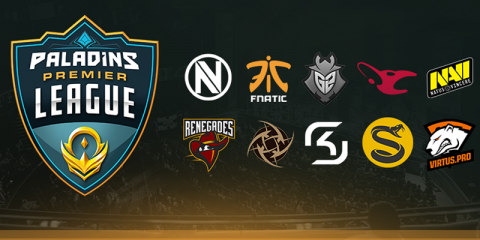 For the latest details on the Open Beta, visit the official site here. And finally here’s an infograph on what you can expect from this open beta period. Tom Clancy’s The Division 2 is an upcoming online action role-playing video game developed by Massive Entertainment and published by Ubisoft. The sequel to Tom Clancy’s The Division, the game will be released for Microsoft Windows, PlayStation 4 and Xbox One on March 15, 2019.